The General Elections today began with voting for the first of the seven phases. As part of the national elections, 91 Lok Sabha seats in 20 states and union territories would decide their next representative in parliament. Besides the Lok Sabha elections in states Arunachal Pradesh, Sikkim, Andhra Pradesh and Odisha would also vote for their respective state assemblies. On Thursday, 1279 candidates faced the litmus test. The first phase will see about 142.1 million votes caste their vote, which is little less than 10 percent of India’s population. The Election Commission in a press conference after the day’s polling said, Phase 1 of Lok Sabha were largely peaceful barring a few stray incidents. The election commission received 570 poll complaints, of which 547 were resolved. The EC added that 15 EVMs were damaged and legal action is being taken. 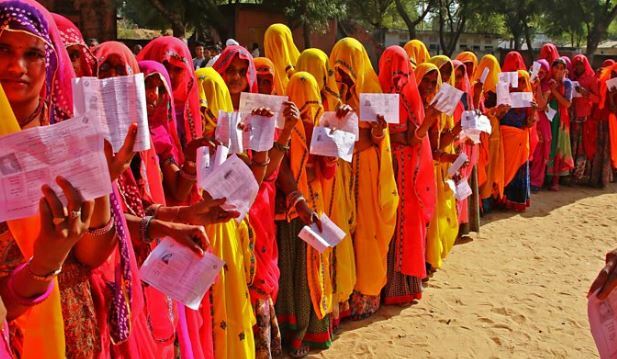 Sporadic incidents of violence have been reported across Andhra Pradesh, Arunachal Pradesh and Uttar Pradesh in the first phase of Lok Sabha elections. A TDP worker died in the clashes that erupted in Andhra Pradesh which is holding assembly polls simultaneously with the Lok Sabha elections. An improvised explosive device (IED) blast was reported in Maharashtra’s Gadchiroli district as voting was underway in the Maoist-affected district. No one was injured in the incident, reports said. A similar blast was triggered by Maoists in Chhattisgarh’s Narayanpur district in Bastar Lok Sabha constituency in the early hours this morning, officials said. The blast was triggered around 4:15 am when a team of security men was escorting polling personnel to their booth. The second phase of polling is scheduled for 18th of April.